the disasters you meet will never be the ones you anticipate. . . .
so christmas was going along splendidly. i had hosted my ex-husband, my stepson, and my two boys for christmas eve dinner and then for brunch, my ex-husband, his first ex-wife, his daughter, her husband, their daughter, and my two boys. after the last chocolates had been eaten and everyone was feeling a bit bloated and happy, my younger son eastman announced he wanted to go out and he would take my car. so far so good. at least for another half hour. in the meantime, i reflected on the new years eve resolution that had brought me to christmas–sure, i’m not going to get to all 325 friends. some are spambots and don’t even really exist. some are uninterested in seeing me. some have moved. four of them are orphaned to me because i can’t afford another flight to california. but i was thinking ninety percent was looking pretty good. if i made a new years resolution to make a million dollars and i only made $900k i’d still be able to afford a pair of pretty earrings. and if i made a new years resolution to lose ten pounds and i only lost nine i’d still feel better about that bikini. i was getting pretty self-congratulatory, which is really something you shouldn’t do until you actually cross that finish line. eastman arrived home with the news that the back window of the car had spontaneously shattered. then there was the confusing addition to the storyline of a mysterious group of underage drinkers, a garage, and a verbal altercation. while my first reflex was relief that eastman was not hurt, i suddenly realized i had better cancel my december 26 facebook appointments. i did so with a heavy heart because i know how busy the holidays are — these were appointments i might not be able to make up by december 31. and further, everything i do from here on out requires a car. and the window will not be repaired for at least til the end of the year. i lost it. utterly lost it. pulled a dark cloud over my head and gave up. spent december 26th in bed with a migraine-ish pain in my soul. i would quit. five days before the end of the year. i was mad at me, mad at eastman, mad at the entire year of 2011! 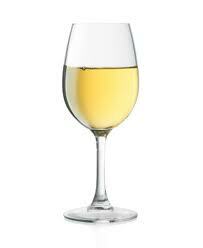 i turn to white wine when i'm feeling awful. it's not like it helps matters any and adding chocolate does nothing either. then i thought, this project is about friendship and about sometimes having to ask for help. lots of help from your friends. if you don’t ask for help, then you’re really saying you don’t need your friends. i called brenda allison, f2fb friend #287, and asked if there was any way she could meet me today in winnetka even though i had had to cancel for the twenty sixth. i am grateful that she agreed. after all, she’s from fayettevill, arkansas–it’s quite a drive. to be fair, she was visiting relatives in chicago. we got together and in the meantime, my ex-husband has volunteered his car to eastman who has now signed on to be my driver for the next several days. an ex-husband and a son can be good friends too! brenda and i got matching pedicures. we caught up on the things that had happened since brenda and her husband moved to fayetteville a year and a half ago. it’s the sort of catching up that doesn’t work when you just see a news feed scroll by. . . . and then she had something very interesting to say about new years resolutions! This entry was posted on Wednesday, December 28th, 2011 at 12:56 am	and tagged with broken glass, facebook, friendship, hubris, new years resolutions, self-congratulation and posted in Uncategorized. You can follow any responses to this entry through the RSS 2.0 feed. « the best christmas begins at norad. . . .
uh, oh, i was wrong. eastman didn’t sign on for letting me use the last car that’s standing in the presser household. i’m on my own. but it’s okay because obstacles are just the things in the middle of the road to your own success! i’ll figure out a way! Your resolve and optimism are truly inspiring. I’ve seen so many great changes in your perspective over the past few months… I think that no matter how many friends you see, you’ve won. You’ve succeeded in your goals and you’ve managed to do something you never thought you could. Congratulations ArLynn.